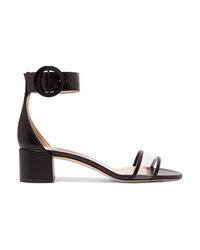 Jimmy Choo Shar Slingback Sandal $725 Free US shipping AND returns! Jimmy Choo Lang Sandal $795 Free US shipping AND returns! Jimmy Choo Ivette Sandal $795 Free US shipping AND returns! Jimmy Choo Lane Sandal $695 Free US shipping AND returns! Jimmy Choo Lalia Slingback Sandal $895 Free US shipping AND returns! Jimmy Choo Leila 85 Knotted Leather Slingback Sandals $895 Free US shipping AND returns! Jimmy Choo Minny 85 Leather Sandals $750 Free US shipping AND returns! Jimmy Choo Shar 100 Glossed Leather Slingback Pumps $725 Free US shipping AND returns! Jimmy Choo Lang 100 Patent Leather Sandals $795 Free US shipping AND returns! Jimmy Choo Marine 35 Suede And Metallic Leather Sandals $298 $595 Free US shipping AND returns! Jimmy Choo Jaimie 40 Leather And Pvc Sandals $725 Free US shipping AND returns! Jimmy Choo Slip On Block Heel Sandals $401 $669 Free US Shipping!